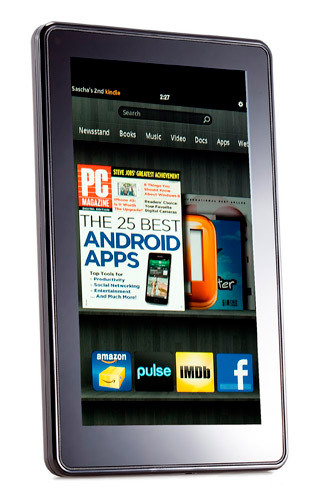 Amazon’s Kindle Fire tablet is one of the hottest gadgets this holiday season because of its low price. It is the first small tablet that an average user can pick up and immediately use, with simple clear interface and an amazing price of $199. Kindle Fire is best for those people who want a tablet PC to handle all of the important functions while at the same time keep away from some of the least used functions found on other tablets like the iPad2. 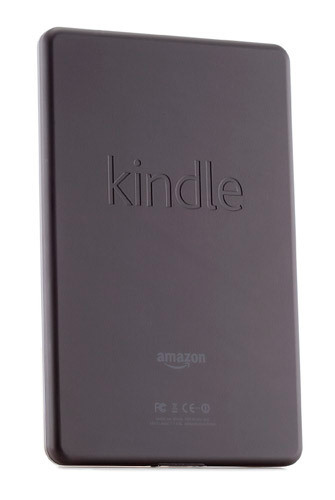 This Tablet from Amazon looks like a little solid brick measuring 7.5×4.7×0.45 inches (HWD). 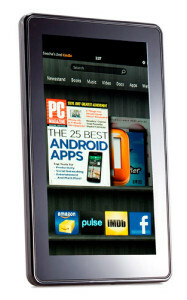 With a weight of just 413 g, the Fire looks a lot more like the blackberry Playbook which costs about $499. There are no slots or tabs; both the memory and battery are sealed in, and the only interruptions in its smooth, black form are the headphone jack, power button, Micro USB jack, and dual stereo speakers. It uses 802.11b/g/n Wi-Fi networks to get online; there’s no cellular radio or Bluetooth connectivity. 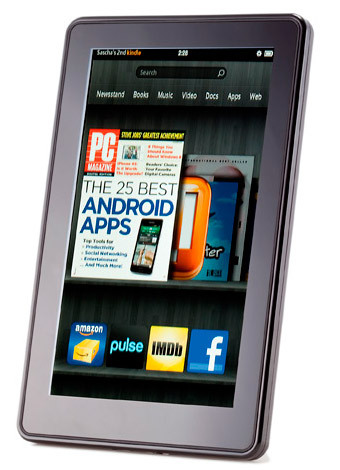 The Amazon Kindle Fire has a 7 inch, 1024×600 Ips LCD screen which is very sharp and clear, which means there’s no trouble reading in the bright light. 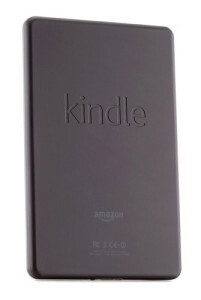 The Kindle Fire is equipped with a dual-core, 1 Ghz TI OMAP4 processor and runs a very highly customized version of Android 2.3.4. Start the fire and the screen will show 7 words: Newsstand, Books Music, Video, Docs, Apps and Web. Each of these seven sections gives you a virtual “bookshelf” of items stored on your Fire along with a link to Amazon’s relevant store. The Kindle Fire is one of a kind at least this holiday season. 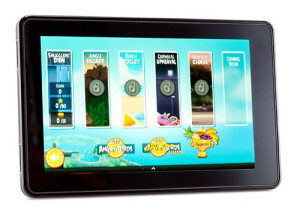 It’s the first affordable easy to use general-purpose tablet. It doesn’t replace the Apple iPad, which is bigger, more powerful, more expensive, and has far more apps. While there are other good small tablets out there, most notably the Acer Iconia Tab A100, they’re also more expensive and just fiddly.